Feminist theory: Many women discuss feminist theory and the differences in why women are oppressed the way they are. Gender equality: Gender equality is an issue we have been struggling with in the world for centuries and has yet to be fixed completely. 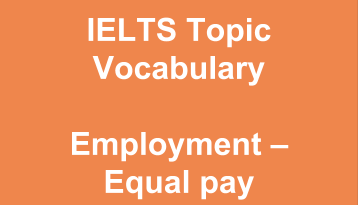 Equal pay: Men and women do not always receive equal pay in the workplace even when they are doing the same work. Balancing responsibilities: Some men believe that women have trouble balancing responsibilities involving the home and the workplace and therefore cannot do both things. Empower women: We must empower women to achieve their goals no matter how big they are in order to see gender equality succeed. Affirmative action: Affirmative action involves choosing someone for a job based on their race or gender as opposed to their skills alone. Male entitlement: Male entitlement is a problem in today’s society because men have been raised to think they are in control of everything. Patriarchal society: Many countries in the world revolve around the idea of a patriarchal society where the male leads the household and make the decisions. Equally beneficial: Gender equality proves to be equally beneficial to both men and women in the long run. 1. How does Mr. Kimmel explain the difference between gender struggles in white women and women of color? 2. What different views are there on gender equality and what similarities and differences do they have? Explain with specific examples from the TED talk. 3. Why is gender equality good for countries, companies, and men as a whole? 4. What was Mr. Kimmel’s experiment with his 16-year-old son and what were the results of this experiment when it comes to gender equality? Women should be given the same opportunities as men in the workplace, because although we live in a ___________ _______, it is about time that we break the mould and let women make their own decisions. While someone does need to take care of the children and the home, a husband and wife should have _________ _______________ and should support each other in both their careers and family lives. There is no reason why the woman should stay at the home as opposed to the man. Firstly, women should be given the same opportunities in the workplace, because ____ ___________ is unfair and out of date. Men should not be given privileges over women just because of their gender. We need to promote ______ ________ in the workplace as well as give men and women _____ ___. Studies show that women excel just as quickly if not faster than men do in their careers when given the opportunity. Therefore, we need to _______ _____ and allow them to grow with no boundaries. Secondly, women should not be hindered in their careers, because a working woman can be _______ __________ to the man as well. If the woman in the home is working alongside the man, the family can bring in more income and support their family more efficiently. ________ ______ studies how women are discriminated against in their jobs and how this can be a disadvantage to the family as a whole. Scientists have proved that couples who are equal when it comes to gender are happier overall. In conclusion, we must allow women to thrive in the workplace and use ___________ ______ initiatives in order to ensure that women get the same opportunities as men. It is better for the world as a whole if we see both men and women in the home and leading successful careers.